STL provides a wide range of logistics services to a wide range of clients, from indigenous industry to multi-national corporations, covering many sectors The company operates from two locations in Limerick – Annacotty and Ballysimon. The company provides over 400,000 sq. 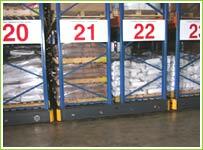 feet of warehousing with over 300,000 pallets handled per annum. 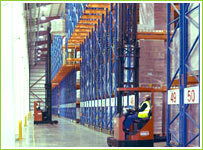 50,000 square feet of multi purpose warehousing. 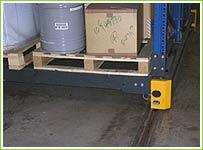 Problem:	The company had previously used both Conventional and Drive-In racking. Due to an increasing level of business and variety of product stored, the company required greater flexibility in its warehouse operation. Solution:	Euromech designed, supplied and installed a comprehensive Mobile Pallet Racking system, providing STL with the capacity to store an additional 30,000 pallets and the storage flexibility needed.